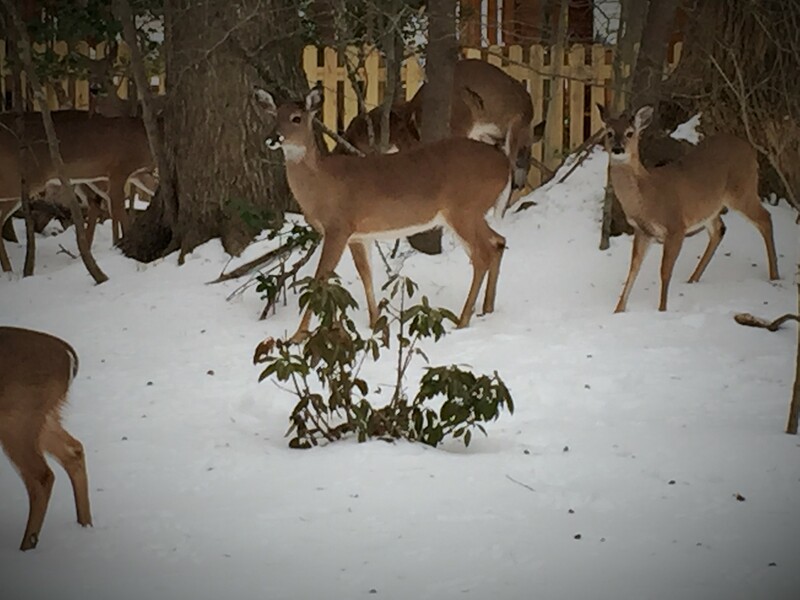 Today while Mama & i were working on stuff in the kitchen we looked out to behold the most amazing site — deer, lots of deer, hanging out in our snowy yard. Grabbing my handy iPhone i stuck my nose out the back door … they looked up. And kept munching. This posse of deer kept coming back & forth across the woods behind us – we counted at least 20 of them. Unbelievable. Observing them in the winter silence made me grateful to God, our Heavenly Creator, for the wonders abounding around us. We had wondered during this week of sub-zero weather, how the deer would fare? we usually see 3 or 4 – sometimes 6 or 7 at a time, but we’ve never seen so many together. As they traipsed back & forth for an hour or so behind us, they kept as a group – i saw one deer waiting for one of the littlest to catch up when the rest had gone on. Maybe that’s how they stay warm, by hanging out together? Lenten application? Seeing these deer today made me think about our amazing Creator (like how do deer know when we’re watching? Even through the glass window when usually we run to see them, i tell you, they know we’re there — their heads turn our way, their ears perk up & they stare at us! ) Maybe the deer can’t see us, but somehow they know we’re there. It’s kind of like faith. Lent is all about faith, so here’s something for our minds to munch on tonight. This entry was posted in Lent, Quotes and tagged Creation, deer, faith, Fr. Richard Rohr OFM, inspiration, Inspirational photos, Lent, Richard Rohr. Bookmark the permalink. 2 Responses to Oh Deer!!! 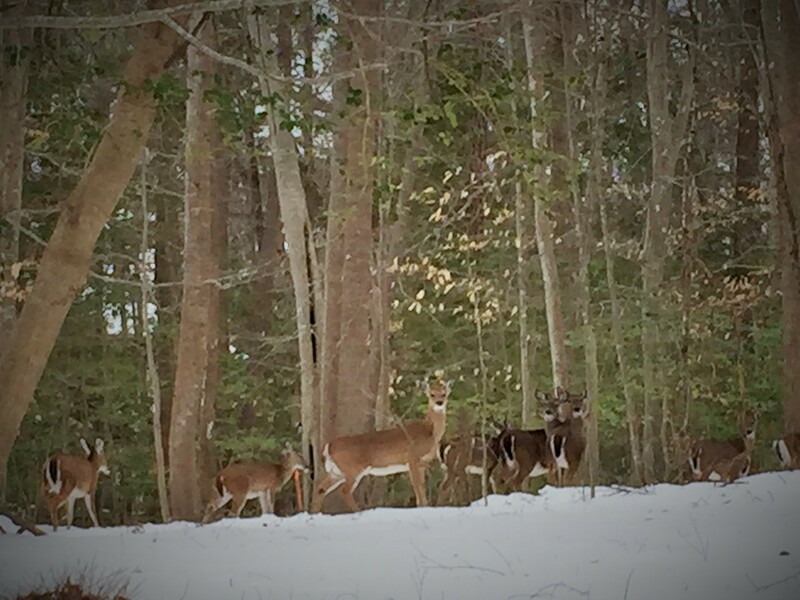 Beautifully written … how special to see that many deer at one time!